Climate change charity 10:10 has won a rail industry research competition for a ground-breaking study to explore the use of community-owned renewable energy and storage technologies to provide Welsh railways with a direct supply of electricity to power trains on newly electrified routes. The Green Valley Lines initiative, led by 10:10 and Community Energy South’s social enterprise, Riding Sunbeams, has secured a £110,000 grant to support plans for ‘smart electrification’ of commuter lines running to and from Cardiff. It is one of six separate innovation projects to win funding from the Rail Safety and Standards Board’s ‘Intelligent Power Solutions to Decarbonise Rail’ competition, launched to help deliver Ministers’ commitment to remove diesel-only trains from Britain’s railways by 2040. 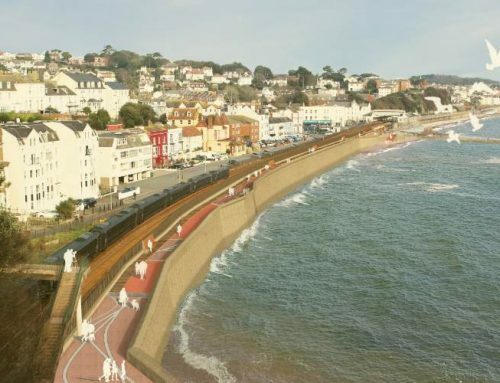 Working with Network Rail, the Energy Saving Trust and consultancy Ricardo, the team behind the project will identify potential sites to install community owned solar, wind or hydroelectric generators next to railway lines in the region. These sites would directly supply the lines with low-cost, low-carbon electricity, whilst in turn providing financial benefits to local communities who would own the generators. The study will also scope technical solutions for directly connecting renewables to overhead electrified lines, and analyse how best to integrate new energy storage technologies to help keep electrification costs down. Whilst most rail electrification projects in the UK have been paused since 2016, devolution has allowed Transport for Wales to push ahead with ambitious plans for a South Wales Metro network with world class environmental standards. Trains will not be permitted to run on diesel North of Cardiff under the plans, and all energy for the newly electrified lines must come from renewable sources – with 50% originating from Welsh generators. Transport for Wales are supporting the Green Valley Lines project as a way to help meet these goals. The Riding Sunbeams team is already working to deliver a Department for Transport funded, world-first technology demonstrator that will connect a small-scale solar PV test unit to the third-rail traction system in South-East England this summer.